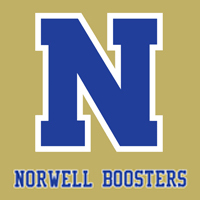 Tickets are now on sale for the 5th NHS Athletic Hall of Fame Induction Ceremony and Dinner taking place on Saturday, October 6, 2018 at the Cushing Center in Norwell. There will be a social hour starting at 6:00 PM, followed by dinner and the induction ceremony. Additionally, at 5:00 PM, prior to the Cushing Center event, the NHS “Wall of Fame” will be unveiled at the Clipper Community Complex. Located on the expansive patio overlooking the fields, the new Wall of Fame will feature bronze plaques for each Hall of Fame class prominently displayed with names of current and former inductees. All members of the NHS and Norwell communities are invited to attend this brief ceremony; the Hall of Fame Committee looks forward to seeing you! Please email Leann Cavicchi at nhsathletichalloffame@yahoo.com with any questions.